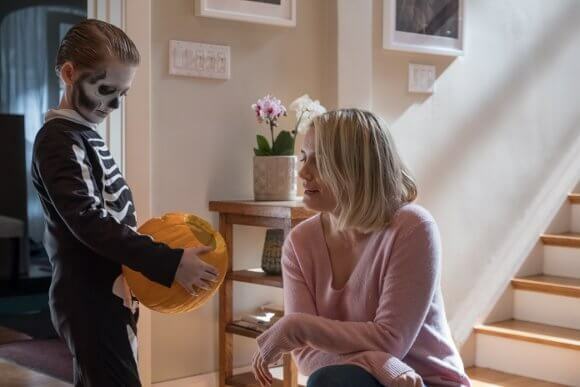 Orion Pictures has just released a new one-minute clip from the horror film, The Prodigy. In the new clip, a mom watches over her sleeping child. He jerks awake, obviously terrified of some unseen presence. It turns out he believes the presence isn’t an unknown outside force lurking around his dark bedroom, hiding in his closet or under his bed. Instead, the boy claims the presence is inside him. Taylor Schilling leads the cast which includes Jackson Robert Scott (It, Fear the Walking Dead), Peter Mooney (Burden of Truth, Rookie Blue), and Colm Feore (The Umbrella Academy, House of Cards). Nicholas McCarthy (The Pact, At Devil’s Door) directed from a script by Jeff Buhler (The Midnight Meat Train). Buhler also recently adapted Stephen King’s bestselling Pet Sematary for the 2019 film starring Jason Clarke, Amy Seimetz, and John Lithgow and directed by Kevin Kölsch and Dennis Widmyer. The Exorcism of Emily Rose‘s Tripp Vinson produced the 2019 horror film. Nicholas McCarthy’s behind the scenes team includes director of photography Bridger Nielson, editors Tom Elkins and Brian Ufberg, and costume designer Catherine Ashton. Orion Pictures has set a February 8, 2019 release date for The Prodigy.